For those of you who somehow do not know, a lido is a public open-air swimming pool or bathing beach. Considering that none of the potential beaches along the Thames are commonly used for any sort of sunbathing anymore, with regards to the urban context of London, a lido commonly denotes a public open-air swimming pool. The word 'lido' itself is the Italian for beach, and the theory is that it made its way back to the UK through British residents returning from visiting the 'Lido di Venezia' near Venice. London was once described as a 'city of lidos', and there were 67 in 1939 - a time before travelling abroad was easy. London's first known purpose outdoor pool 'Peerless Pond' was opened by William Kemp in 1743 and was located near the modern Old Street roundabout, up in the half-of-London-that-shall-not-be-named. Peerless Pond was not public however, it was a 'subscription bath', and cost one guinea for a year's worth of use. An essential aspect of the lido is that they are for pubic use, they are not private members clubs, anyone can rock up on the day and have a swim. Over the course of the 20th century, South London has had 21 lidos, now there are only four. We will discuss those former lidos in a future article, and what potential futures those lidos have, but today we are going to discuss the four stunning lidos of South London that are still going. and are still open to the public. 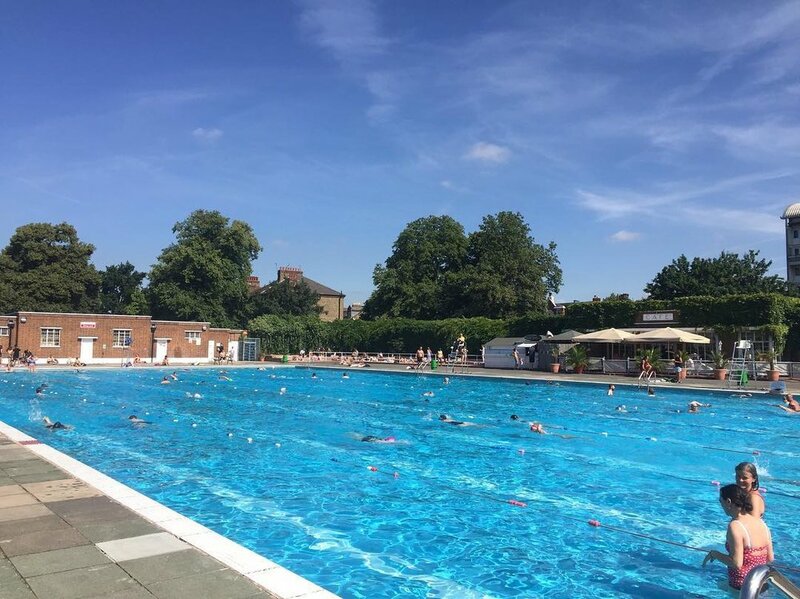 Brockwell Lido, though it wasn't called a lido at the time, was opened as part of the 'Golden Age of Lidos' in 1937, and closed in 1990, before being reopened in 1994 after an inspiring local campaign. Grade II listed, and located within Brockwell Park, it was designed by HA Rowbotham and TL Smithson of the London County Council to replace the Brockwell Park bathing pond. From the mid 40s to the late 60s it was part of the network of lidos that hosted the County of London Swimming Championships, and saw mammoth queues when the weather was hot. Having been refurbished almost a decade ago, the lido has continued to expand, and is a fantastic success story and indicator as to how well used public facilities can be if run and maintained effectively. Recently, Brockwell Lido has suffered two incidents of overnight vandalism. Obviously, whoever is doing this is clearly as hard as nails. 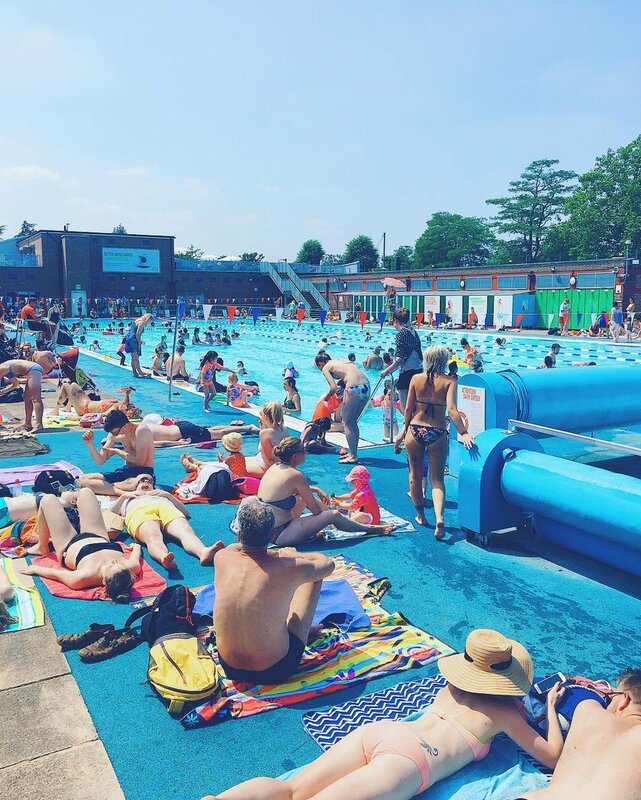 100 yards long, and 33 yards wide, Tooting Bec Lido is not only London's largest outdoor pool, it is the largest swimming pool by surface area in the UK. It holds one million gallons of water, takes a week to refill, and can hold a maximum of 1,400 swimmers at one time. Oh, and it's also London's oldest outdoor pool, having been opened to the public back in 1906 as Tooting Bec Bathing Lake. Having been continuously open during that entire period, the lido has seen a number of changes and expansions, such as the indoor facilities recently added, which house the the South London Swimming Club. 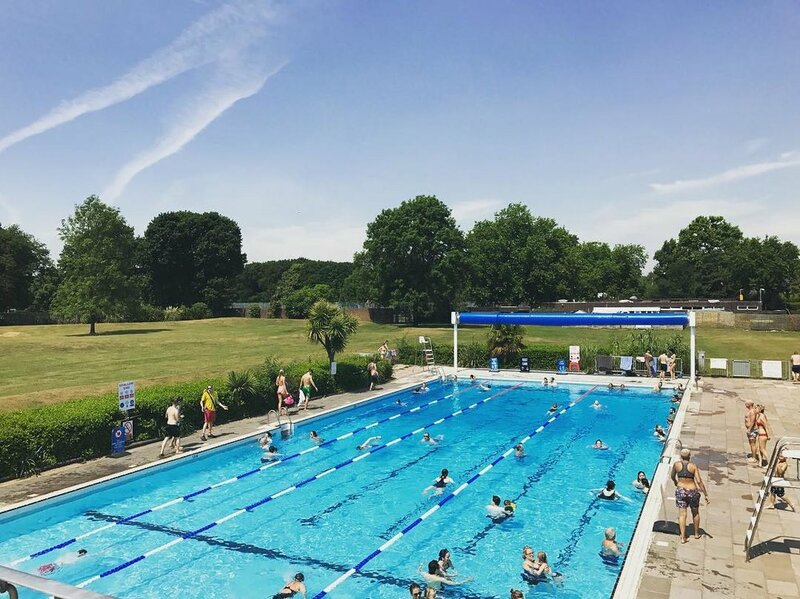 Unheated, the lido remains open all-year round, and despite being absolutely huge, still saw a one in one out policy over the recent heatwave due to the staggering numbers who flocked from all over South London for a dip in this historic pool. A sign of the gradually changing times, signalling a return to something like the popularity that lidos once enjoyed, is the Charlton Lido and Lifestyle Club in Hornfair Park. The last lido to be designed and constructed by the London County Council, it was opened as the Charlton Lido in 1939, and, like the Brockwell Lido, was designed by Rowbotham and Smithson. Having been closed in 1990, the lido was refurbished between 2011-2013 to the tune of £5 million, and was reopened as the Charlton Lido and Lifestyle Club, despite fears it might be called the Royal Greenwich Lido - it's not in Greenwich, it's in Charlton. The youngest of the lidos on this list, Pools on the Park in Richmond's Old Deer Park is a swimming pool and leisure facility constructed in 1966. The complex was designed by Leslie Gooday, was Grade II listed in 1996, and has been described by Historic England as "the most ambitious use of glazed curtain walling and the post-Wolfenden Report emphasis on providing large banks of spectator seating." This quotation refers to the indoor pool, rather than the outdoor pool. With heating in both the outdoor and indoor pool, it's one of the more impressive public leisure spaces in all of London.